When we started preparing for Scarlet to be born last year it was never a question on if we would try breastfeeding. The question was if we would successfully breastfeed. I did breastfeed with Dylan for the first three months and it was great. I was really proud of myself and I had every right to be. This time around all I wanted to achieve was to get past three months exclusively breastfeeding. We did it, just in case you hadn't guessed already. Now that we have reached one year of breastfeeding I'm sharing how our journey has been for the last twelve months. Scarlet's first feed was in the first few minutes after her birth. I remember thinking how easily she did it. It was a moment for just us. We'd all had a cuddle, the midwives had finished up all the clearing away and left to continue their job. Simon was somewhere close and we talked but I don't really remember the conversation. I remember looking into Scarlet's face and thinking she was really here. 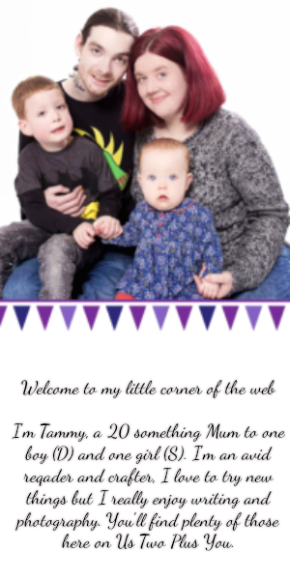 Since I had gone into labour before 37 weeks we had to stay in hospital for the first three days. On the first day Scarlet needed to have her blood sugar level checked before every feed and again around an hour after. Since I had gestational diabetes in my pregnancy which can lead to low blood sugar after birth. Breastfeeding on demand while working around midwives and nurses being available to check her blood sugar level before we started feeding. That was a hard start. We both got frustrated and in the end she had to have two milk top ups using formula through a syringe. I'm not going to lie. I cried, I really cried. I'd given birth that day to my daughter who was breech and no matter how hard I hoped or how well Scarlet latched on and fed she needed her blood sugar to be higher. Through the next two nights we started those famous newborn cluster feeds. That night we both feed through the sun setting and the sun rising the next morning. It was very quite with the curtain drawn around our bed it felt as though it was just us two. I think this was our newborn bubble. Watching the sunrise, tired, holding a little newborn Scarlet who was trying to win the record for most newborn breastfeeds in 12 hours. Things changed when it came to the day we had been told we'd go home. 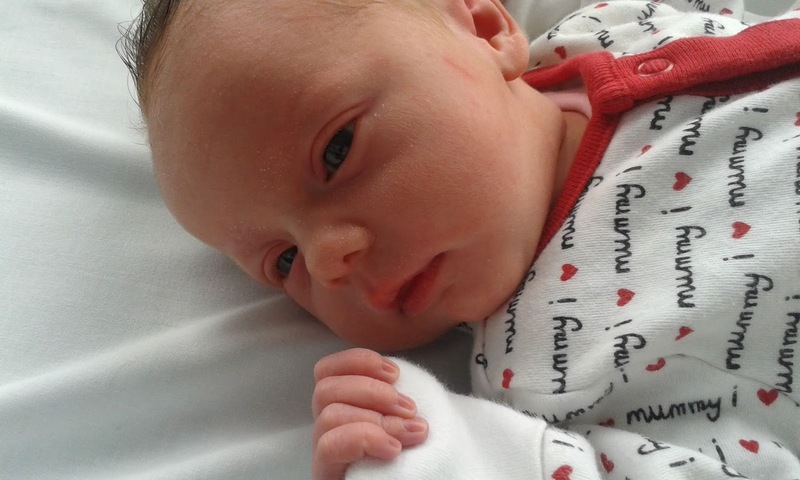 Scarlet lost a little more than 20% of her birth weight which meant we wouldn't be leaving. Instead I had to start topping up her feeds and I refused to give her formula. It meant that I had to feed Scarlet, express milk into a small cup after every fed and at the end of the next feed I was to give it to her from a syringe. 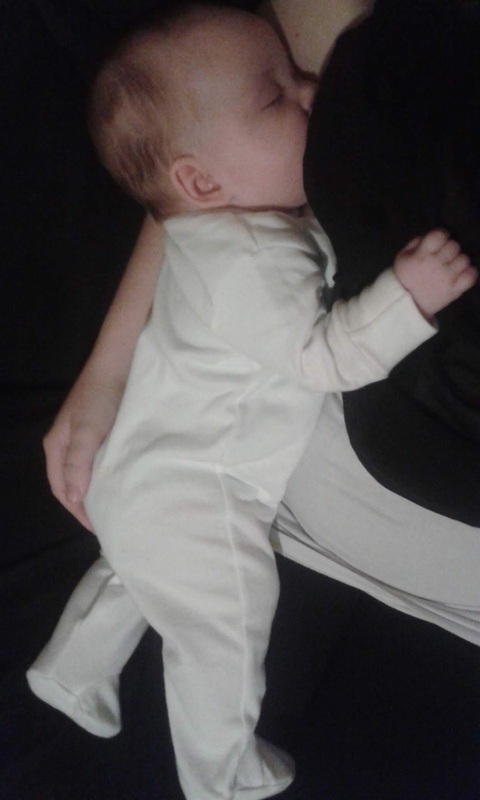 I didn't want to use a bottle at all at this stage as we had just started to establish breastfeeding and I knew a bottle could make a difference. It certainly did with Dylan. 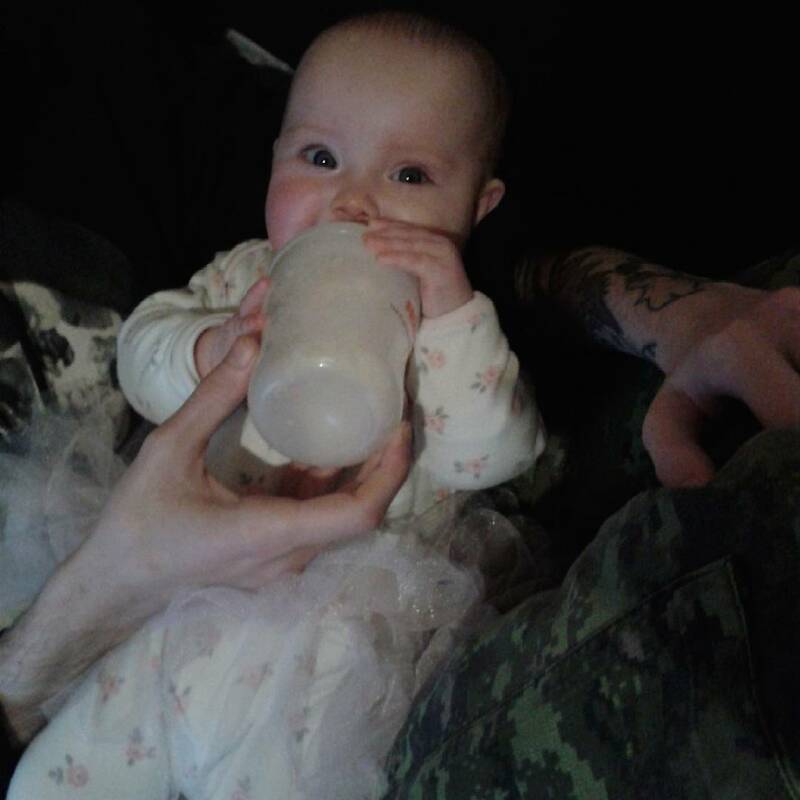 In the end Scarlet started to bring up milk every time I put her down and I got no sleep. None at all. If I wasn't cluster feeding then I was expressing or spending 20 minutes giving Scarlet 5ml of breast milk on top of a full feed. I sat in bed in the middle of the night and I cried. There was no way I could keep doing it. I hadn't stopped feeding or expressing for hours. I felt awful that I couldn't do it for her and I was getting close to thinking I would have to give up. I made the decision to stop giving her top ups. I had spoken to a midwife on the ward who very kindly sat down with me for an hour at 4am and talked about it all. Scarlet obviously didn't need more milk on top of her cluster feeds and it was making her sick. We both got some much needed sleep and two days later we headed home. Once we got home we found our own routine. We relaxed and the cluster feeds started to dwindle as she was happy with my supply. We'd found our own routine and Scarlet was a very relaxed baby for the most part. Within the first couple of days of being home we had to tackle the shopping. I'd gone into labour on my own, early and we'd not been prepared. Hell I didn't even take my bag to the hospital with me! The first shopping trip was long, we had to stop twice to breastfeed and both times I made sure we found a quiet corner where I could feed. I hid away there with a muslin square draped over my shoulder and Scarlet. We sat facing a closed shop in a dimly lit corner which was near the entrance to the toilets. It wasn't great but it worked and we fed here during the weekly shop for the first few weeks. I started out to feed Scarlet past three months and I did it. It was tiring but it was worth it. After five months had passed I expressed milk in the hope that I would be able to get a few hours without feeding every now and then. I pumped the milk into a bottle and left Simon with Scarlet and the bottle. It didn't last long and she just spat out all the milk the dribbled into mouth since she refused to use the bottle teat. A dummy had the same response so we quickly gave up after a few tries. Just before we reached the six months mark Scarlet and I fed hands free in our carrier for the first time! 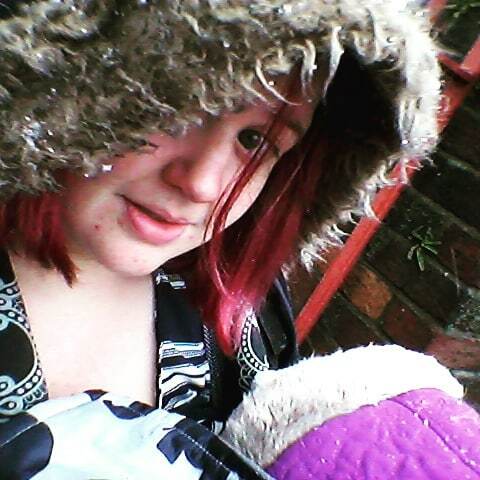 We did in a literal blizzard of snow, at the school gates waiting to pick Dylan up. It was freezing! I was so proud of myself. It wasn't easy to get her latched on amidst all the busy parents and to feed her in the snow. It was fantastic anyway. Scarlet hit six months in the run up to Christmas. In the week before she was six months we started weaning. Although at first it made no difference to breastfeeding. She was still feeding around ten times a day. Slowly as her food intake increased she dropped one or two feeds. We did still breastfeed both at home and outside. When we first started weaning we also started to give Scarlet a cup with some boiled water which had been cooled. It took us two months to find a cup she liked and drank from. Those two months had been filled with feeds after meals and all the usual big feeds. After Scarlet started to drink water with her meals I noticed we slowly dwindled down the breast feeds we did outside the house. On long days out she would still have two or three feeds and usually around the times she was tired. By nine months old we had gotten to around 6-8 feeds a day.Most of which had been through the night. Things haven't really changed much. At 12 months old Scarlet fed for a morning feed, two feeds to nap during the day, at bedtime and usually 4 times through the night. I didn't ever think we would get to this point in our breastfeeding journey but I'm so glad we did. At 12 months we are still going and Scarlet shows no signs of stopping. As it has always been up to Scarlet on both how and when we feed it will be up to her when we stop. She will self wean from breastfeeding at some point and I just hope I don't miss it too much when she does.